Greetings Brothers and Guests! Welcome to Carmel, Maine. We are an active Lodge with 121 members. Our date of Precedence as a Lodge was March 12, 1857. 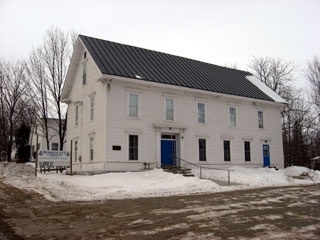 Our Charter was granted by the Grand Lodge of Maine on April 7, 1857. We are in our 160th year of community service. Our Stated Meeting is the third Wednesday of each month at 7:30 PM. We are dark July and August. Please check our Trestle-Board below for many upcoming Lodge events! Our Lodge through history. The picture above is our Lodge as it appears today. Below is what our Lodge looked like in the 1800's. You can see some of same structure existing today. Drawing below courtesy of Wor Bro John Luce. BIKES for BOOKS 2019! We are doing Bikes for Books at the Carmel Elementary School. We hope to have 30 Bikes with Helmets awarded. We will be fundraising for this worthy community cause. Our goal is $500. The Grand Lodge Masonic Charitable Fund will do a 2 for 1 match. Dues for 2019 are $39.00. Our fiscal year runs from October 1 through September 30th each year as described in our bylaws. *Note – all entries subject to change. During your travels, please remember our widows and distressed Brothers. 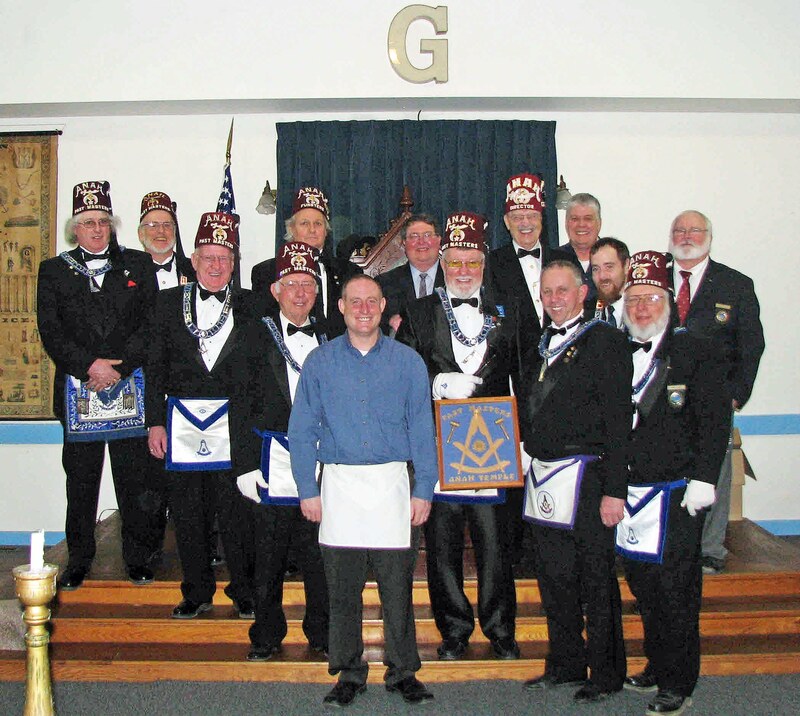 Pictured below is our newest Master Mason, Brother Kiritsy. 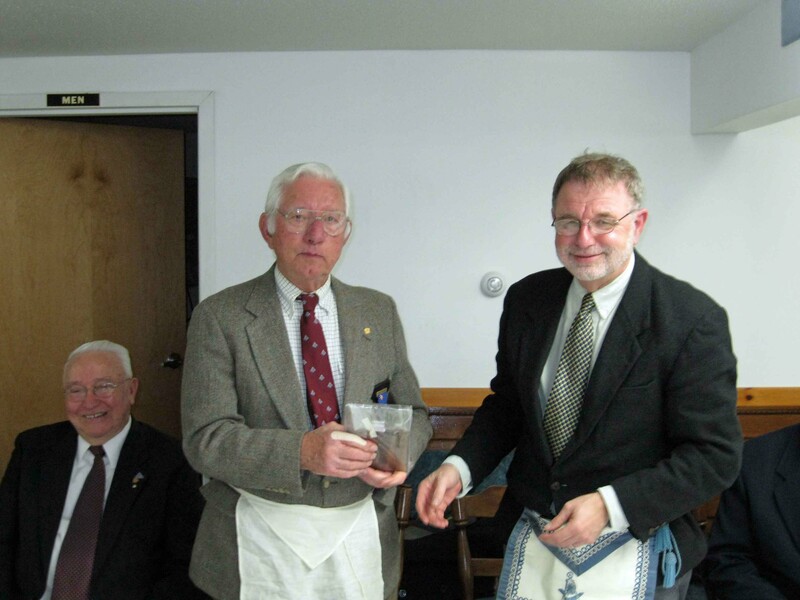 He was Raised on April 2, 2014 by the Anah Temple Past Masters Unit. It was an excellent degree! Pictured below is Wor Marvin Graves, Wor Clement Richardson and Wor David Richardson. Picture from the Table Lodge held on February 16, 2013 in honor Marvin and Clement. It was a great evening! Web page maintained by Wor Steve Hoekstra.